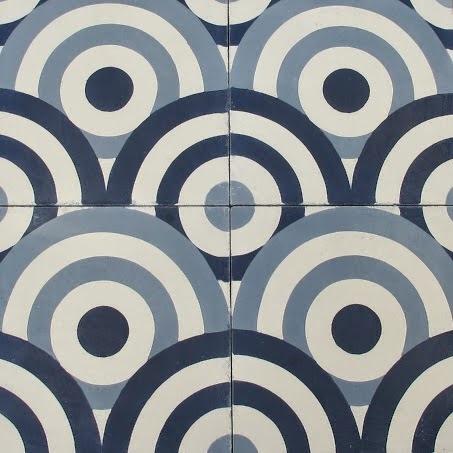 My love of bold pattern has me smitten with Rustico Tile and Stone’s beautifully colored, handmade cement tiles. 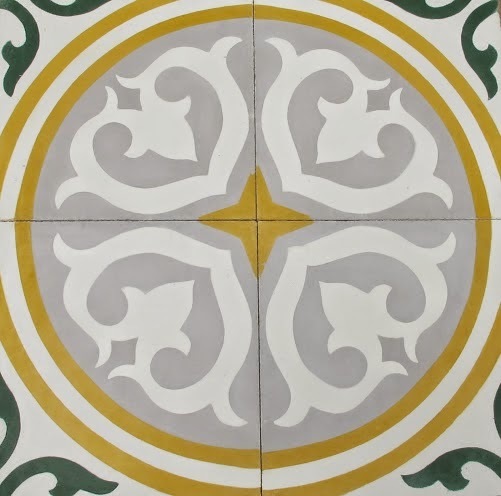 Awarded with the Best of Houzz 2014 award, Rustico Tile & Stone is the leader in manufacturing and distribution of authentic Saltillo tile, Mexican tiles, Talvera tiles, Terracotta floor tiles and Cantera stone architectural features for over 50 years. 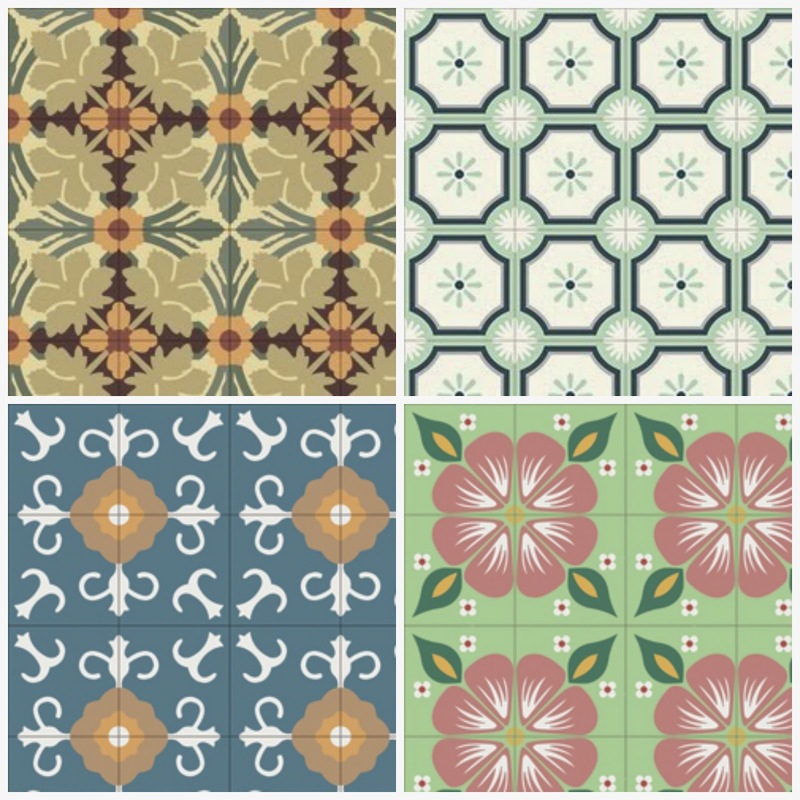 Now they have launched their new cement tile line with over 150 decorative tiles and 60 solid cement tiles. 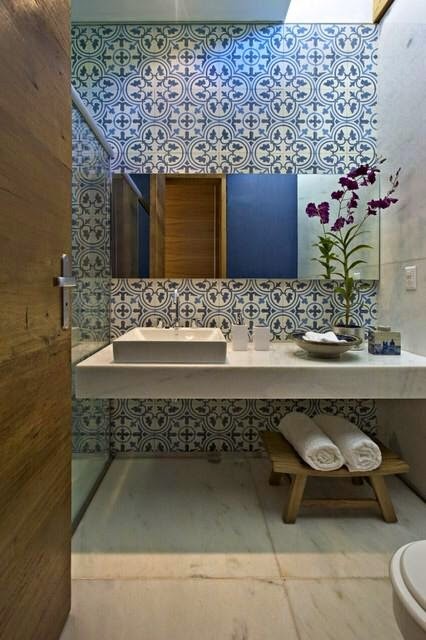 No matter what application, these cement tiles completely stand out on their own! Their color and pattern draw your eye in, welcome you and make a statement! 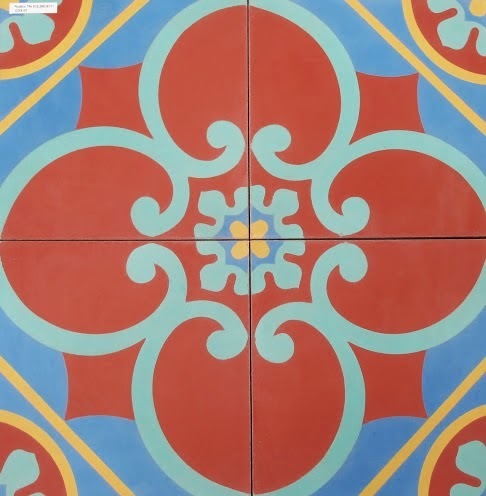 The Cement tiles come in a variety of sizes like 2x2, 8x8, and 12x12 offering lots of design versatility. You can make square and rectangular border designs around a perimeter to frame a floor space or you can create some magnificent 16x16 patterns that go edge to edge of your room. No need for any other decoration as the tile sets the stage for any room! Rustico also offers a variety of beautiful shapes and colors that combines design and function. There are a number to choose from like the Hexangonal, Octagonal, Colonial and San Felipe. 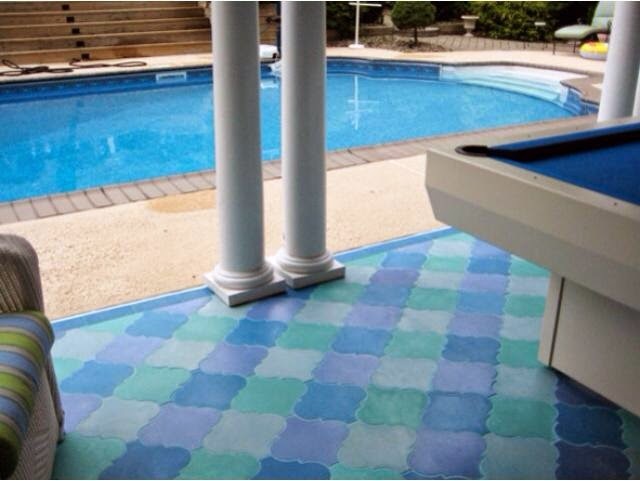 The pool below perfectly showcases the San Felipe shape in a combination of solid cool-colored tiles. Select your color and shape. You can customize what you want! 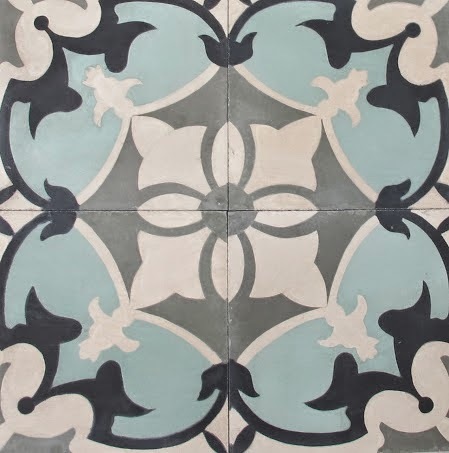 I am also excited about Rustico's cement tile durability. 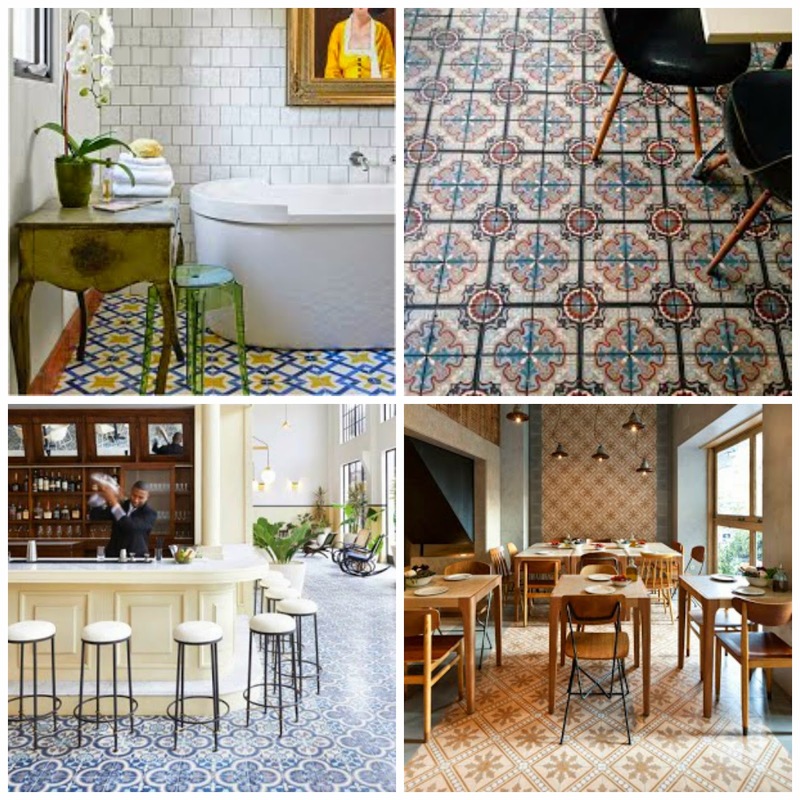 Made from Portland cement and not clay like encaustic tiles, they are strong enough to be used indoors or out. The tiles are hydraulically pressed and created with three layers that are visibly seen in the cross section of the tile. The first layer called the concrete tile face is a mixture of highly resistant Portland cement, powered white marble and natural pigments. Wear resistance, color and brightness rely's on the quality of this layer. The second layer is a mortar that reinforces the first layer and provides the ability to withstand compression loads. The final layer is a porous mixture for impact strength. 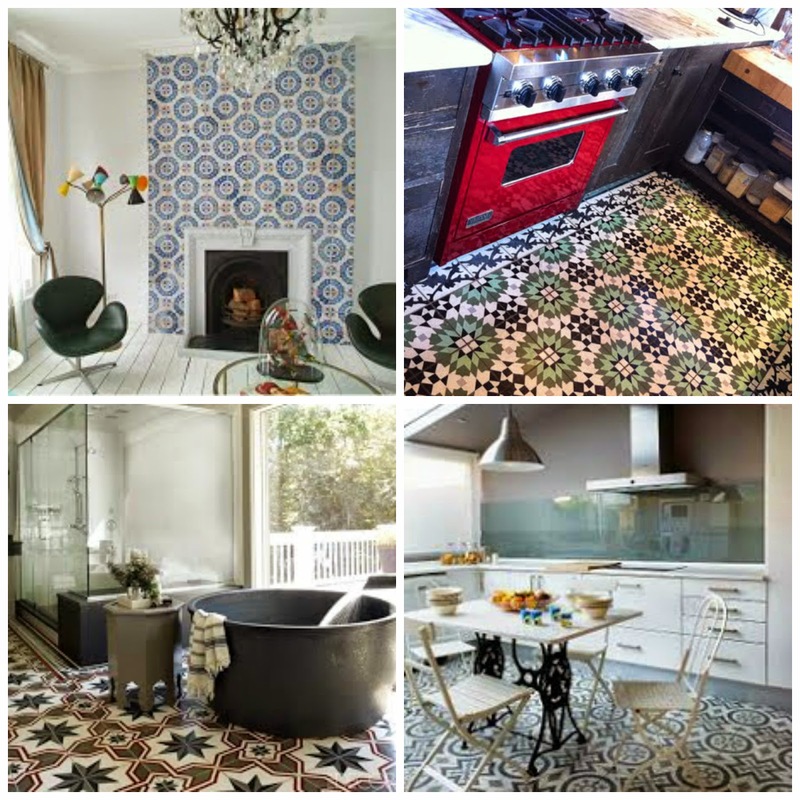 Ultimately, the cement tile is easy to clean, non-flammable, and recyclable. Bonus! For installation, high quality thin-set such as PermaFlex 500 is recommended for setting cement tiles and an application of TerraNano topcoat tile sealer upon completion to protect them from UV, water, debris, and other stains. The final step is a must to keep the original color variations intact, and maintain their colorful beauty! MANY THANKS to Rustico Tile & Stone! This is a "sponsored post." I only recommend products I believe will be good for my readers. All opinions are mine.This is in accordance with the Federal Trade Commission's 16 CFR. Part 255. Lovely post!! Appreciate the great info and will certainly share this along! This product line of decorative tiles is really spectacular!